"Happy Anniversary! Yes, Havaianas' most iconic model has already been around for 20 years! To celebrate, we have come up with a particularly special edition. 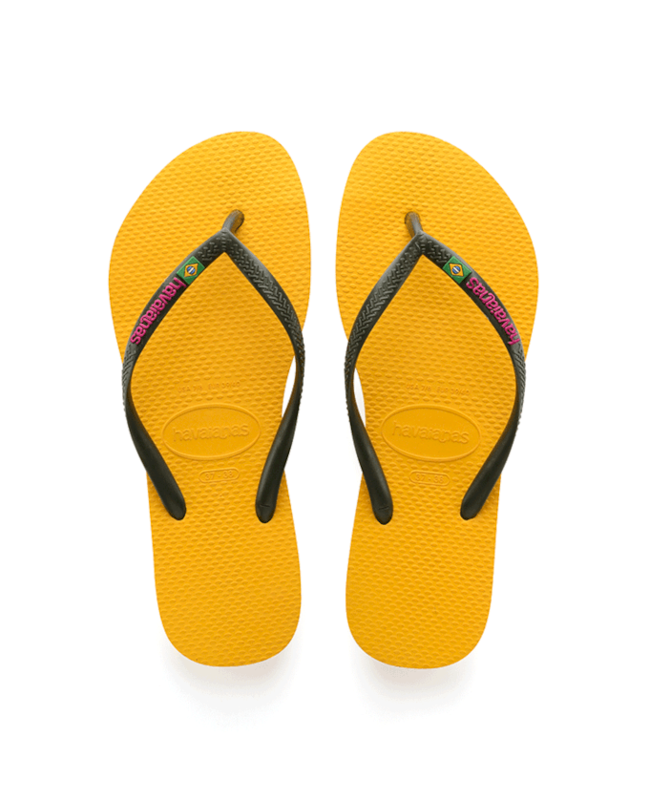 Havaianas Slim Brasil Logo is a Slim version of the Brasil model, making it daintier and more feminine. And its sole features the usual thin coloured layers that represent the Brazilian flag. -Made in Brazil. -Material: rubber sole. -Benefits: Comfortable, durable, lightweight, heat-resistant, non-slip and water-resistant. -Description: Greek key pattern on strap, rice grain pattern on footbed, brick pattern on outer sole. Height: 1.5cm"